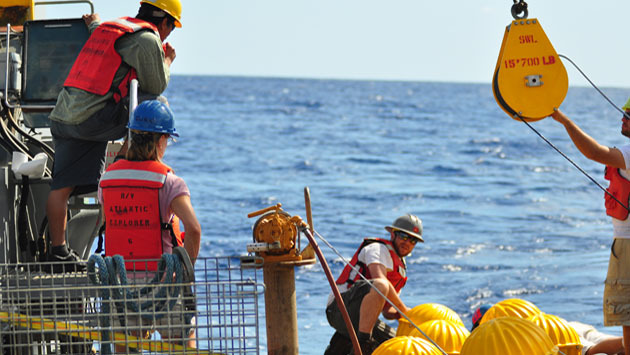 BIOS and WHOI team up to recover a moored profiler. 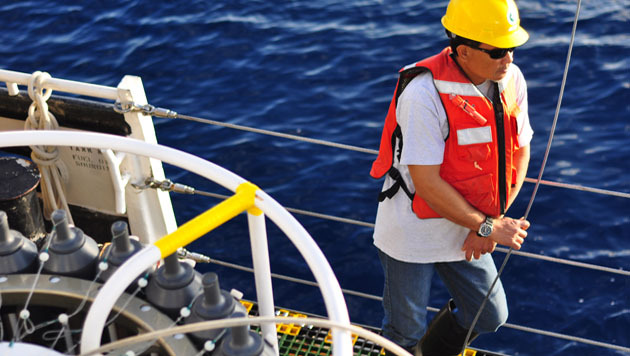 Working aboard R/V Atlantic Explorer. 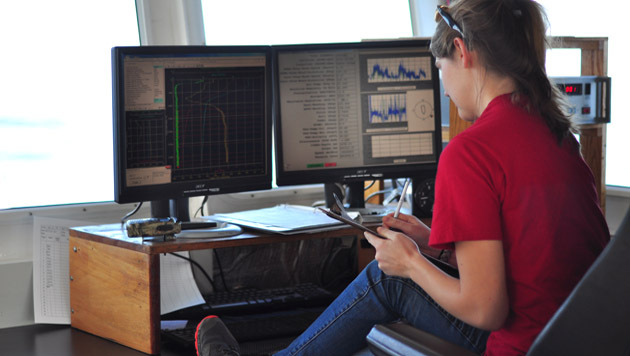 The most successful research cruises are usually those that are planned early, with much consideration given to logistical issues and crew preparation. The cruise plan serves as an important avenue of communication for the scientific party, marine operations staff, and the ship's crew. The information in this section is intended to act as a general guideline for cruise planning. For more details, please consult the Cruise Manual, which contains information about the ship's policies, as well as various forms that may need to be completed prior to your departure. You can also view and download each of these forms individually on the Ship Forms, Diagrams & Documents page of this website. Bermuda Institute of Ocean Sciences, Inc.
Do not place your name at the top of the address as Bermuda Government wharfage fees may be assessed and shipping significantly delayed. Please have your freight delivered to Bermuda at least two weeks prior to your arrival to allow for any delays in customs clearance. Prior to arrival please send an itemized list (commercial invoice) of all equipment and supplies with values. Bermuda Customs will not release any goods without this invoice. Handling, customs clearance and delivery fees are the shipper’s responsibility paid directly to Fast Forward Freight Ltd. via bank transfer.